Fuerteventura Holiday, Trip and Travel Guide + Sport, Events and Excursion Advisor. 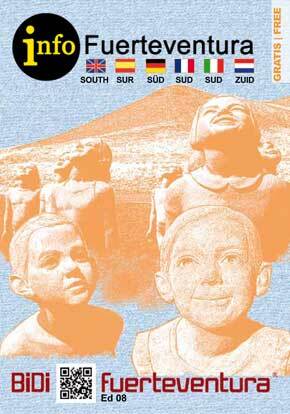 Find here some articles about culture on Fuerteventura. Enjoy reading them. Find here some articles about local people of Fuerteventura. Enjoy reading them. 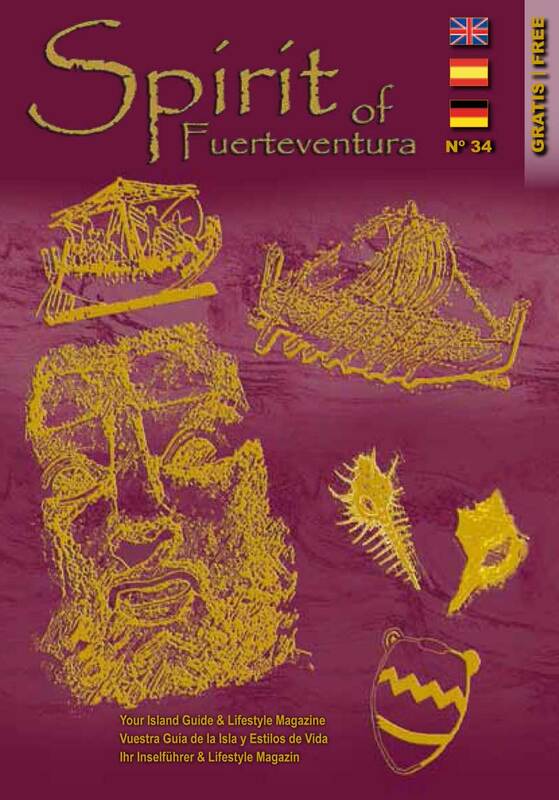 Find here some articles about the history of Fuerteventura. Enjoy reading them. Find here some articles about Beauty and Wellness on Fuerteventura. Enjoy reading them. Find here some articles about the human body and how to keep it in good condition. Enjoy reading them. Find here some articles about the human soul and how to get in touch with it. Enjoy reading them. Individual Tours or Excursions allow you to organise yourself your visit or activity plan according to your wishes. In this way your trip will be as much as possible tailormade, exclusive and unforgettable. Please find below businesses that will be pleased to help you in your search for that exclusive happening. Find here all activities that will give you and your family a lot of fun during your holiday stay in Fuerteventura. The activities are particularly enjoyable for kids, teenagers and adults. Quad and Buggy excursions on Fuerteventura are something for the active ones. Discover remote places and enjoy splendid views where cars cannot drive. Feel the cooling wind and chew the dust. Refresh yourself during a swim and taste the local food. It will be a day to remember. Please find below a representative list of the Buggy & Quad companies. Please find here valuable information about what you can explore about the local culture and history. We supply you a road map to guide you through the most interesting locations. We wish you a nice journey. Find here the latest information about the local markets in Fuerteventura such as the agricultural market, handcraft market, African market and last but not least the Canarian market in your area. Organise your own private sea excursion around Fuerteventura or beyond with a chartered luxury yacht. Visit neighbouring islands from the seaside. An truly unforgettable experience! Find here more info. Booking your private airplane is anyhow an impressive moment, and it is even more on Fuerteventura. Experience Fuerteventura from a bird's eye perspective and collect unforgettable moments. At democratic prices. Find here more info. Find here the agenda and the picture & video reports about the most interesting events on Fuerteventura. Agenda, resumé videos and full capture. Find here the agenda about the most interesting events on Fuerteventura, coming soon. And watch out for eventual video reports about some events in the event reports section! 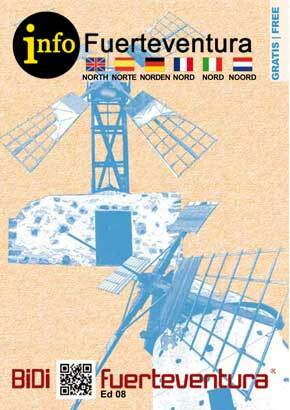 Find here the agenda and the picture & video reports about the most recent interesting events on Fuerteventura. Resumé videos, pictures and/or full capture. The Fuerteventura Guide for Smartphones and Tablets. Up-to-date & Easy! The Fuerteventura Guide for Web-compatible Mobiles and Tablets (Android Smartphones, iPhone, iPad, iPod, Tablets) uses the QR Code system that is free available. You scan in this code from printed media or from your computer screen and store the link in your favourites. If you don't have this application already on your Mobile/Tablet, you can easily download it for free at www.scanlife.com. Find here some popular links to scan in and stay tuned in on what's going on on Fuerteventura. Get the best out of your holiday! Find in this Restaurant Section all about the best and most typical eating places in Fuerteventura. Make your choice based on the most relevant information about which restaurants to visit for your "wining & dining". Find in this Nightlife Section all about the hottest party places in Fuerteventura. Make your choice based on the most relevant information about which "Hot Spots" to visit for your night out. Your online weather forecast for Fuerteventura. The weather on Fuerteventura has no high peaks and deep slopes as you might have at home. On the contrary, the weather here is showing temperatures in the shade from 15ºC till 30ºC. When it gets windy feel temperatures might be somewhat lower. Find here some articles about science. Enjoy reading them. Find here some articles about the nature of Fuerteventura and some from "further down the road". Enjoy reading them. Home sweet home - even on Fuerteventura. Find here some low-cost ideas to "face-lift" your casa or suggestions to really upturn the interior of your actual living space and make it a new home. Spirit of Fuerteventura offers you relatively simple but original ideas to embellish your garden and improve the comfort of staying outside. Afterall, we do live on a sunny island and staying outside is an intrinsic part of the "Fuerteventura way of Life". Spirit of Fuerteventura offers quite simple recipes, but that will give a lot of satisfaction without too much of a hassle in the kitchen. Most products that are suggested are of local produce or come from mainland Spain. Spirit wishes you success and a lot of fun - behind the pots and pans and at the table. There are plenty of bars in Fuerteventura, but most likely you are looking for some "exciting ones" where you have a nice atmosphere, good music, fine beers or live music. Find here the best addresses. Shopping in Fuerteventura is a pleasant experience. You have shopping malls closeby and typical shops in town. Find here the most exciting ones. Nightlife on Fuerteventura starts from 22:00 till...sunset. Most people make a rally from one "hot spot" to the next one. If you loose some "party buddies" down the road, you will catch them later. Find here the "Map". Finding lodging or accommodation in Fuerteventura is quite easy, when you know where to look. Find here small but cosy hotels and apartment complexes to enjoy your holiday and intimate rural places to forget time. Rental companies for cars, motorbikes, bikes on fuerteventura supply almost all what you desire. Find here those that can help you. Service companies on Fuerteventura can mean any health care or legal advise, but also the organisation of parties and celebrations. Find here the companies that might help you. Find here a list of all sport activities on Fuerteventura. Climbing or Boulder in Fuerteventura can be done on artificial climbing walls or in some specific areas in the Betancuria massiv. Find here more info. Off-Road Motorbiking in Fuerteventura really is something for the "hard-core". Although safety is of utmost importance, it will be a demanding activity. Not for everybody, but what an experience! Find here who to contact. Snorkelling in Fuerteventura is one of the best and cheapest water activities on the island. The waters around Fuerteventura a full of life. Up to you to discover it! Find here all information about the companies that provide snorkelling services. Corralejo, Lajares, Villaverde, El Roque, La Oliva, El Cotillo. Deep Sea Fishing in Fuerteventura is an unforgettable experience. You go out for almost an entire day on a fishing vessel and return in the late afternoon with your catch. Find here where to book. Hiking in Fuerteventura - individual or in a guided group - will allow you to discover the beauty of Fuerteventura. When making part of a guided group you also will have the opportunity to receive a lot more info about the history, nature and culture of the island. Find here where to book for a guided tour. Horseback riding in Fuerteventura truly is one of the best ways to discover the island. Tranquillity, a low pace to allow you to look around, the wind, nature and the sounds of surrounding life all are elements that make these moments unforgettable. Find here where to go. In this Eat & Drink section about Fuerteventura you will find the most relevant information on which restaurants to visit for your "wining & dining". In this Eat & Drink section about Fuerteventura you will find the most relevant information on which places to visit for your "wining & dining". The best Gourmet and Finesse Restaurants in Fuerteventura offer a culinary experience with local produce, but prepared in a different way. These places truly are gems and guarantee an unforgettable evening. Find here their data. Typical restaurants in Fuerteventura mean places where you can enjoy typical dishes with local fish or meat and/or the well-known tapas in a cosy and authentic interior. Find here the best addresses.